The time in Berlin last summer was lovely. I loved 'our' neighbourhood. It felt so safe and I personally thought it was really cute, even at 4am in the morning. This is one of the outfits I wore on our nights out in Berlin. I've been looking for pants like these the entire summer, and these are perfect. 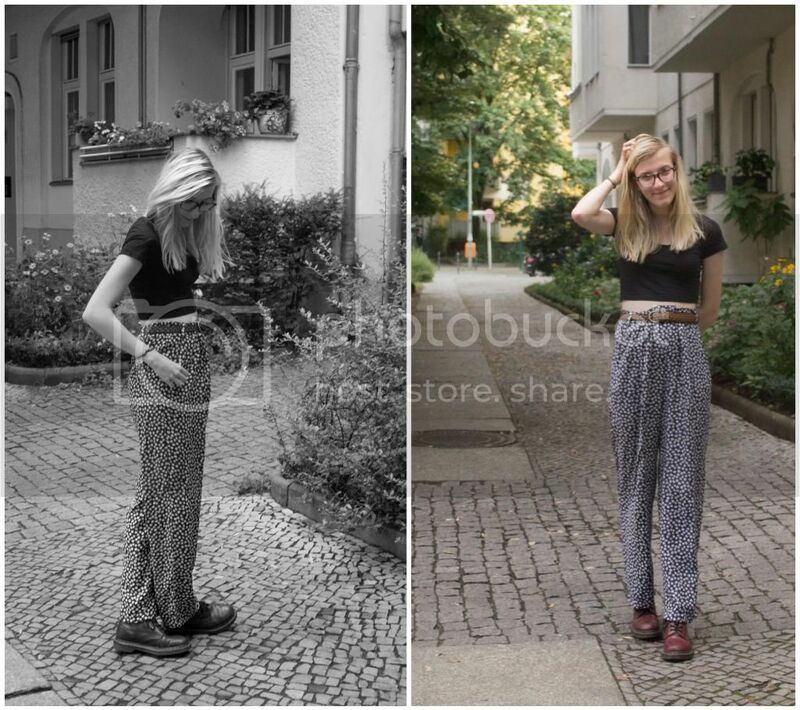 They are also great pants to travel in (especially to Berlin, gotta be fabulous and all). I love them. Paired with a crop top for a perfect casual-but-still-a-bit-fancy night. Love it! Especially the shoes!